As a user with IP verification you shall go to https://app.wordfinder.com. To use our applications for Windows, Mac, iOS and Android you will need a personal account (WordFinder ID). Please note that this is true even if your IT department has installed WordFinder Pro for you. With a personal account you will also have more features in the web application – WordFinder Online, e.g. the ability to add the dictionaries you work most often with to “My dictionaries” and search in several dictionaries at a time. 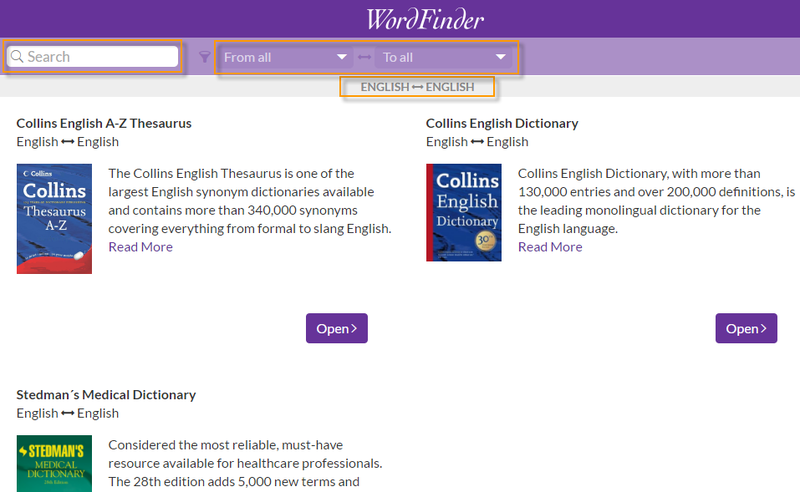 Please see this page for more information about WordFinder Unlimited with Personal Accounts. In most cases the email address to use as a WordFinder ID needs to be from your organisation’s domain. How to create a personal account?